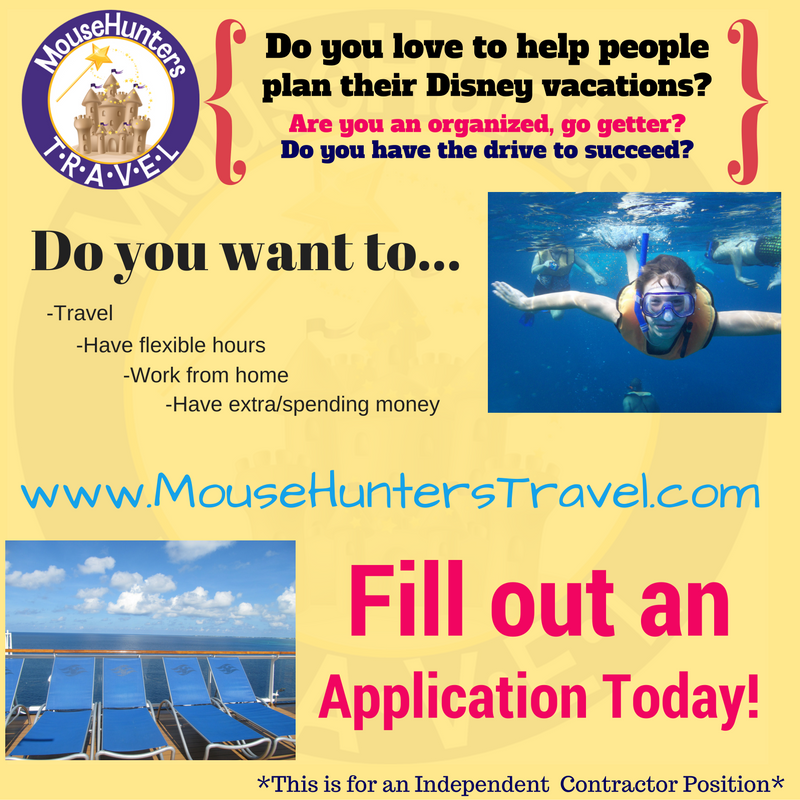 Working with the MouseHunters Travel team is a great opportunity! Do you love traveling to Disney and other places? Helping others with their travel plans? Occasional training onsite to learn the ins and outs with others? Do you enjoy traveling or cruising other areas of the world? This may be the best job ever! Just because you've been to Disney this year doesn't make you qualified...this is an independent contractor position. This means you get paid after your clients travel...are you ok with that? You are required to be available when your client needs you 24/7. You should have internet experience (blogs, social media, etc). and the understanding that you will, for the most part, be generating your own leads. Community of family, friends and business acquaintances to help get your business off and running. Understanding of what a home business can be...hours, professionalism, etc. and knowing this is not just a hobby because you're a "fan" of all things Disney. A love of all kinds of travel! Once we get your initial information you will be sent an application, then a follow up email and/or phone interview. If you do not fill out the second application you will not recieve a follow up. This is a hard job, it's going to take your time, knowledge and resources. It's not a get rich quick job. It's a real job that you have to work at. You are not going to be eligible for free/reduced travel until you are with us for a year and have a certain amount in sales. Make sure this is something you are serious about before applying.